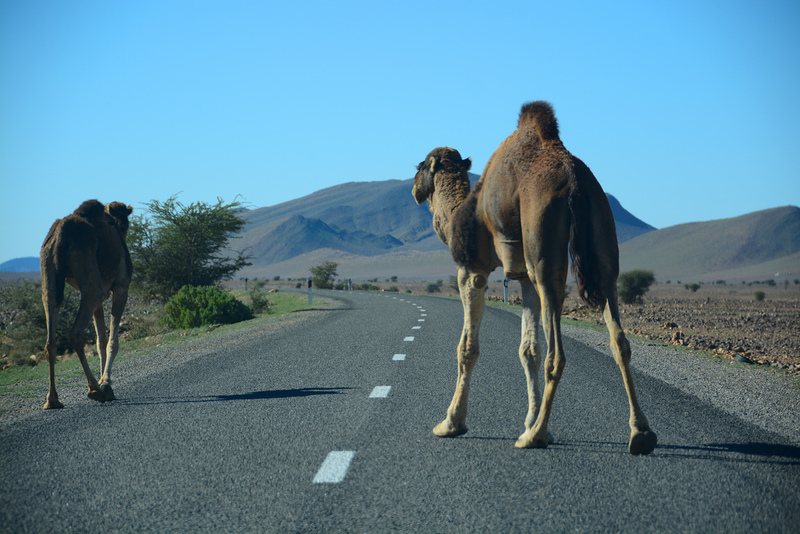 The time-tested classics of desert dwellers to mind. 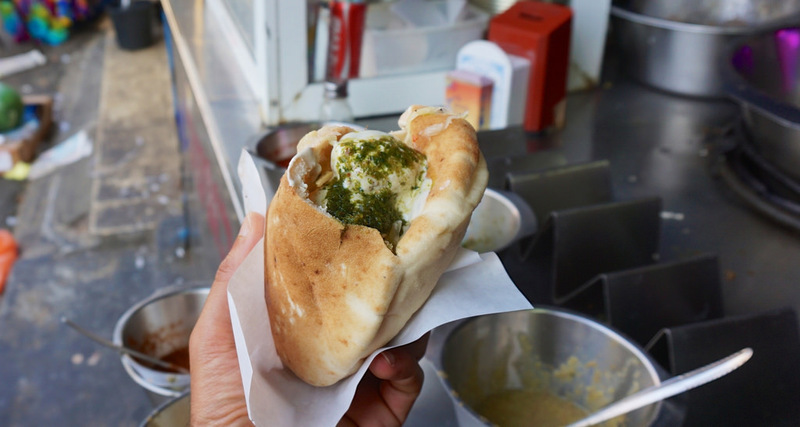 The most famous and the top fast food of Israel, Palestine, and Egypt isn’t McDonalds, although they tried making a McFalafel sandwich for a while but just couldn’t succeed against the better time-tested street vendors — no joke. The fried patties called falafels are made of ground chickpeas, onions, egg and a little flour along with cumin and parsley. With a spread of hummus, a drizzle of yoghurt-cucumber sauce, the embrace of a warm pita pocket and topping of lettuce, tomato and pickle, they transform from humble little things into great sandwiches. 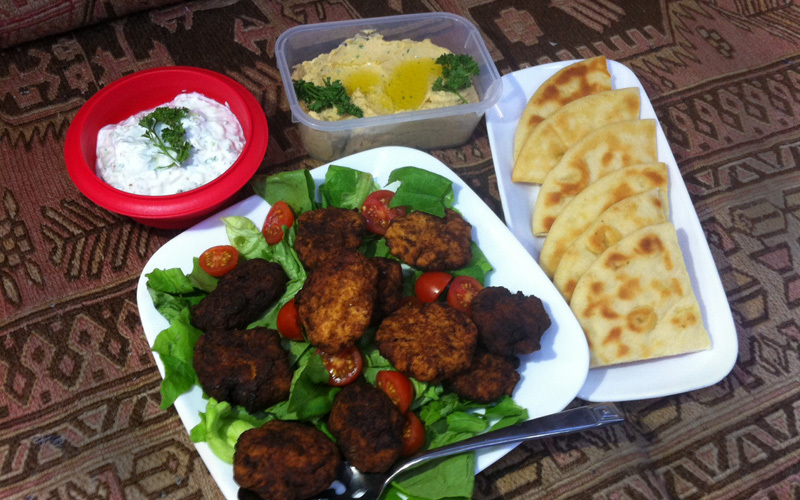 Here are my recipes for falafel, tzatsiki (yoghurt-cucumber sauce) and hummus (chickpea and tahini dip). 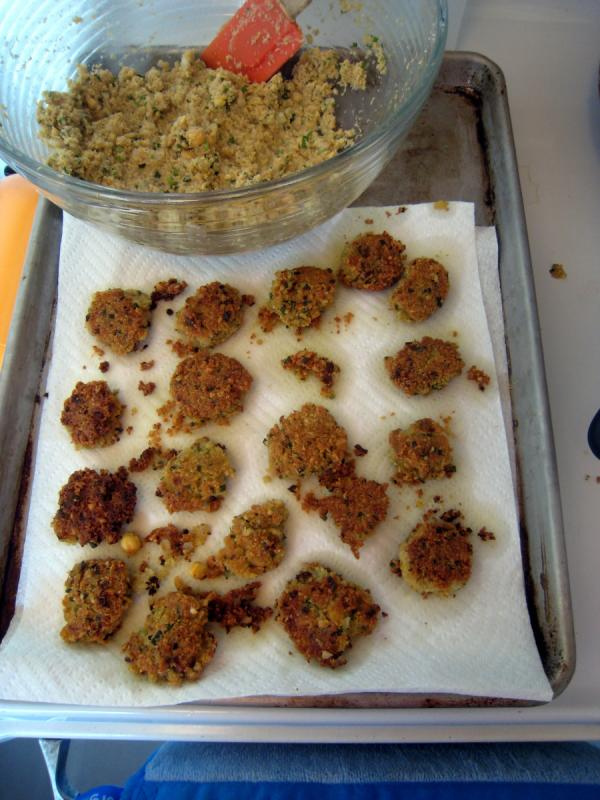 NEEDS: You’ll need a small Kitchenaid or other food processor for the falafel and hummus and a wok or frying pan. The time on this is longer than 30 minutes, mostly because you’re working in batches in the frying pan. But that’s what that beer in your hand is for. Combine chickpeas, 1/2 cup of flour, egg, cumin and parsley in the food processor and puree. Add onions and pulse a few times to incorporate. Pull out two plates. On one, form the mixture into 18-24 little 1/2-inch thick patties. (Use a tablespoon to scoop out the falafel from the food processor to keep your hands from getting too messy but still have some wet paper towels handy or use latex gloves.) On the other plate, put 2-3 tablespoons of flour. Roll each ball into the flour and put back on the first plate. Heat the oil over medium heat until just below smoking. Drop in a few patties at a time, don’t overcrowd them. Work in batches, removing with a slotted spoon to paper towels. Fry until golden brown and crunchy, which generally takes about 5-8 minutes per patty. Set aside each on paper towels and make the yoghurt-cucumber sauce next. Peel cucumber, slice it in half and scrape out the seeds with the tip of a spoon. Finely dice the cucumber and put it into a bowl. Add the yoghurt to the bowl. Mince the garlic and add to the bowl. Chop the parsley and add to the bowl. Squeeze half the lemon into the bowl and stir to combine. Taste for seasonings. Add salt and pepper as needed. Now you have the basics for your falafel sandwiches! 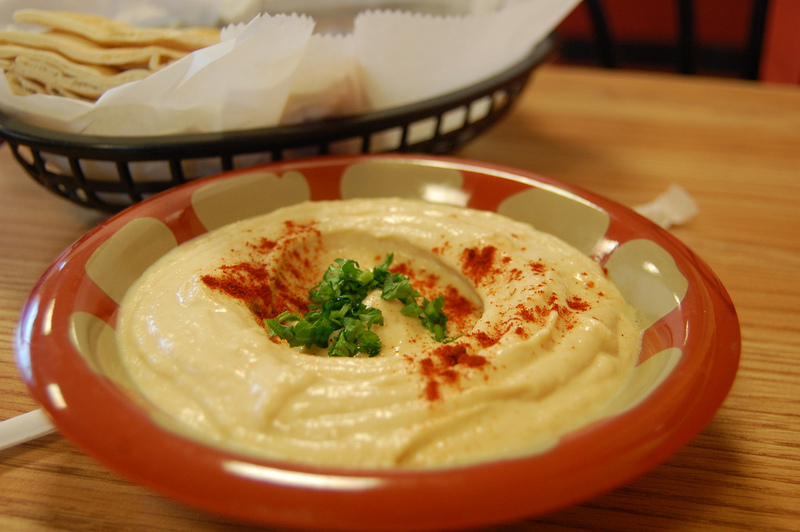 Just warm the bread in the oven for a minute or two, bring out your store-made hummus (or make the hummus recipe below). Construct a sandwich by putting a thin layer of hummus and tzatziki inside the pita pocket, add chopped tomatoes, lettuce, pickles, and drizzle with more tzatziki and if needed, hot sauce. Using your Kitchenaid or other food processor, combine 1/2 cup water, chickpeas, garlic, and squeezed juice from the lemon and start to puree. Add a tablespoon of water at a time until mixture runs smoothly through the processor but still has a thick consistency. Add tahini paste and a little salt and keep processing for another minute. Place in a bowl and chill in the fridge for 30 minutes. When ready to serve, drizzle with a little olive oil and sprinkle lightly with paprika. 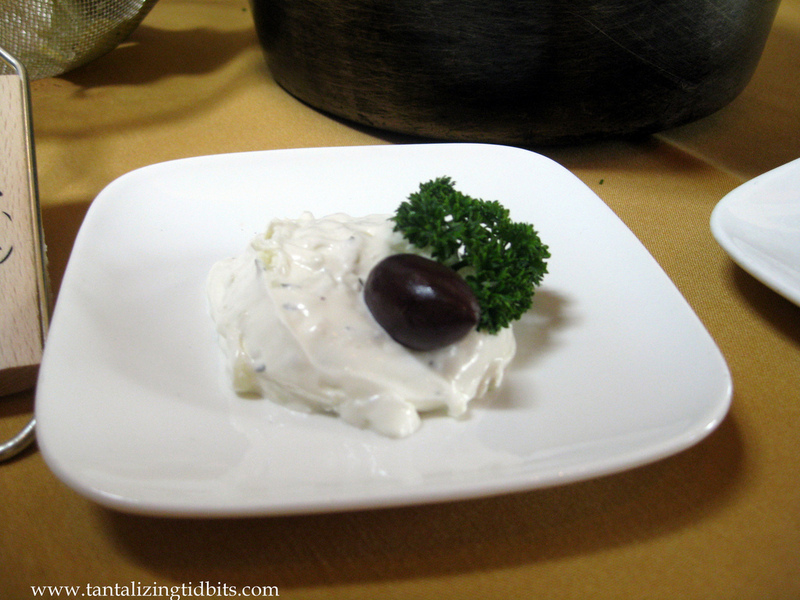 Serve with sliced tomatoes, lettuce, and pita bread.